Clinton Childs made the most of his only start, in 1995 vs. Arizona State. Q: Do you have an all-time favorite or most memorable play? 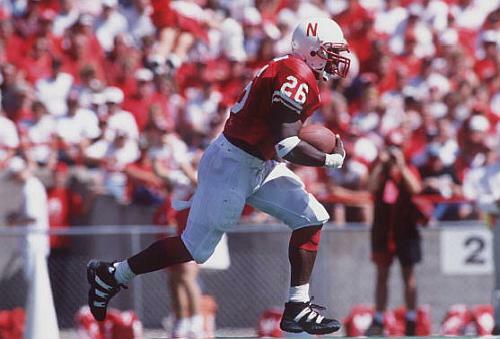 CC: The fastest touchdown in Nebraska History. Q: Tell me about it. Refresh my memory. CC: Arizona State game, it was the only game I started down in Lincoln, when I knew that I was gonna get the starting nod. It let me know the coaches had faith in my abilities. I was pretty excited about it. (In all actuality, I thought I could have started some of the football games, and that’s one thing I look back on. I knew I could have started anywhere else in the country and gotten a better opportunity, but I had a great time down there and good things came from it.) When I knew I was gonna start that Arizona State game, I wanted to show the 76,000 people in the stands I was capable of getting the job done. CC: Well, throughout the course of the year we pretty much knew what the first play of the game was gonna be on maybe Thursday. I don’t remember exactly what the play was called, but it was a handoff to the outside left. A good friend of mine still to this day, Jeff Makovicka, is joined up at fullback and he makes a great block out there on the edge. He’s one of those guys where you knew the job was gonna get it done if you were playing behind him, just an outstanding blocker out there. And we had the wide receivers out on the blocks, and once I turned the corner it was just wide open. And later on you see yourself on SportsCenter just for a brief moment, and I’m sitting there at home later on that day and watching that and seeing all the other great plays going on around the country in college football, and here I am among the best college athletes in America and I’m right here on SportsCenter. And come to find out it was the fastest time in Nebraska history. It was my senior year. Very first offensive play of the game, the first snap. Q: Most memorable game, Clinton? CC: It would definitely be that Arizona State game. First start of my career. And I had to come out. It was kind of bittersweet, because I only played a quarter and a half, had 12 or 13 carries for 143 yards and 2 touchdowns. I got hurt midway through the second quarter, sprained my MCL. I still remember the exact feeling, when I took a helmet to the knee by one of the Arizona State players, and when I felt it I thought I’d blown my knee out and my season was over. Q: Favorite game that stands out to you? CC: Playing Colorado was actually a pretty good game. I scored a touchdown in that game, and playing in Oklahoma, too, a big-time rival back then. I would say the first national championship we won was probably one of the most memorable, the first title in many years. Q: Any special recollections of that night in Miami stand out to you? CC: Well, I tell you what, if you ever find any film on it and you go back and look at the beginning of the game and how confident all of us were going into that football game, it was so intense at the beginning of the broadcast, how focused everyone was. We knew there was no doubt in our minds that we were gonna be the best team on the football field that night. 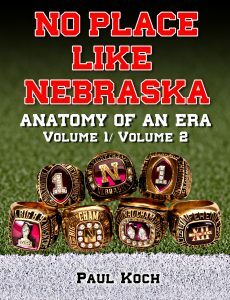 CC: Well, if you think about Nebraska’s offense, you probably have the best two teams in the country that played that night. The University of Miami and the group of guys they had on their defense: Sapp, Lewis, Rohan Marley playing that game, they had a really good defense. 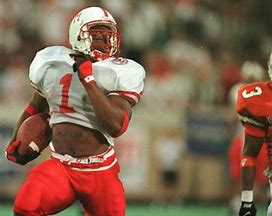 The reason I say it was pretty sweet is the simple fact the University of Miami was recruiting me as hard as they were and they knew who I was, and also they had James Stewart, which earlier in this conversation I told you that they didn’t offer him until after I’d committed to Nebraska. And for us to beat them and be a running back at Nebraska, it kind of showed the difference. Q: Where did you get most of your playing time that night? CC: Kickoff returns and a little bit at running back. I actually had some ankle injuries that slowed me up that year. I want to say I rolled one of my ankles down at practice down there. Q: Any one play from that night in particular frozen in your memory? CC: The safety Dwayne Harris got in the back of the end zone. It kind of solidified things that we had taken over. Q: Any favorite practice story, Clinton? CC: Abdul and I were talking about that today. We were talking about how the number one offense would go against the number one defense in the goal line stand situation, and how the defensive guys -they don’t want to admit it- but we were pretty much having our way with the number one defense at the time. And I was in, and it ended up being the last play of that goal line series… I’m coming at it like it’s the same outside zone play and Abdul and I and some of the offensive guys swear up and down that Coach Steele -it’s funny- Coach Steele gave Ed Stewart the call, where to meet at. It was so intense. It was live, one-on-one, heads up. It was probably one of the hardest and loudest collisions in Memorial Stadium history, period. Neither one of us bent or broke. I didn’t score on that play. Ed Stewart felt the hit. I felt the hit. We both kind of laughed and laid there a little bit (laughs) and got up. It was an exciting time for both the offense and the defense. We got up and patted each other on the helmet, “Nice play.” And the impact of the hit was so loud (because there was no one in there) that it echoed throughout the entire stadium. Q: Any good friends you keep in touch with to this day? CC: I keep in touch with Lawrence. About a month ago Lawrence Phillips sent me a letter. Lawrence and I had probably one of the best relationships, still to this day, one of my best friends. I‘d drive home from Lincoln to Omaha and Lawrence would already be sitting in my Mom’s apartment. She’d be making us dinner and he’d be laughing because he’d seen me pull up. He’d always be sitting on the couch and watching television, talking to my mom, and he’d already have lunch or dinner in his body already. Mom and Lawrence were pretty amazing, and she knew Lawrence came from California and how we felt about one another, with our friendship, and she kind of took him under her wing and treated him like she treated my brothers. Q: You always had a tattoo, right? It was huge! What did it say? Q: You still got that? CC: Oh yeah, it wasn’t one of those that you could wash off after a while. Q: (laughs) It wasn’t a tattoo from the bottom of a CrackerJack box, huh? To be honest with you, it’s how the trend got started. And if you look around now everybody has a tattoo. Q: Even the Queen of England probably has a tattoo by now, Clinton. (laughs) What are you the most proud of, being a Husker player? CC: I would have to say it would be two undefeated seasons, going 25 and 0, being the team everybody was gunning for and not able to knock off of the pedestal, that would probably be one of the proudest things. Q: And what do you think you’ve taken away from those days and applied to your daily life that makes a difference? CC: Well, especially being from probably the toughest community in the entire state, being born and raised here in North Omaha, living in North Omaha my whole life and working in North Omaha now, just trying to influence some of the youth within this community, just to let them know that the gang violence and the robbing and the stealing and all the criminal society, to let them know there are other avenues. Even if they are from a broken home or single-parent home, let them know there are ways to get out: athletics, education, that there are ways to where you can be successful being from North Omaha. Q: Anything you wish you could do differently or do over? CC: I don’t know. I’m pretty sure there are things everybody looks back on and wishes they did a little differently. But that’s one of the things I try to leave in God’s hands, learning that from my mom, that everything happens for a reason. I’m pretty sure there are some things that I could have been done a little bit different, but I try to live my life in a way that you don’t do things that you’re gonna regret later on in life, whatever they may be. I want to do things the right way instead of having to look back in life and wishing I hadn’t. Q: A clear conscience leaves no regrets? “When my mother was pregnant with me, she told me later, a party of hooded Ku Klux Klan riders galloped up to our home in Omaha, Nebraska, one night. Surrounding the house, brandishing their shotguns and rifles, they shouted for my father to come out. 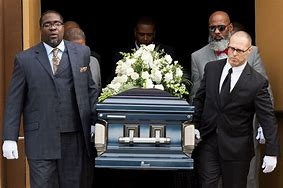 My mother went to the front door and opened it…” Malcolm Little, later to be known as Malcolm X, arrived in the world on May 19th, 1925 at Omaha’s University Hospital, and his story echoes a refrain of the North Omaha to this day. Though the KKK is now old history in Nebraska climes, the mean streets and rough & tumble neighborhoods still turn out young men of considerable mettle. Thus was Clinton. Far from being a violent individual, when the ball was in his grasp he was nonetheless hell-bent on scoring by any means necessary: be it over, under or through a man. The one thing that really stood out to me from this conversation was the absolute full and implicit trust the running backs had in their blockers up front. We often take such faith for granted when we think of offensive team play, but believe me when I say that this isn’t always the case. Not only were the original Pipeline and later versions extra-proficient at mowing down obstructionist defenders, but they were just as nasty and determined as those cradling the ball. Time and again you’ll see very talented backs dancing around behind the line of scrimmage hoping to catch a glimpse of daylight while simultaneously looking for an escape route from sure pulverization. That never happened with these teams. Rarely ever. That’s what a heartfelt trust and sure faith will do for an organization of unified individuals.